This course is HUGELY POPULAR! – Perfect for those wanting to learn more about horses and the horse world. This is a 5-week course, offered Thursday evenings for 5 weeks from March 28 – April 25, from 6:30p to 8:30p. 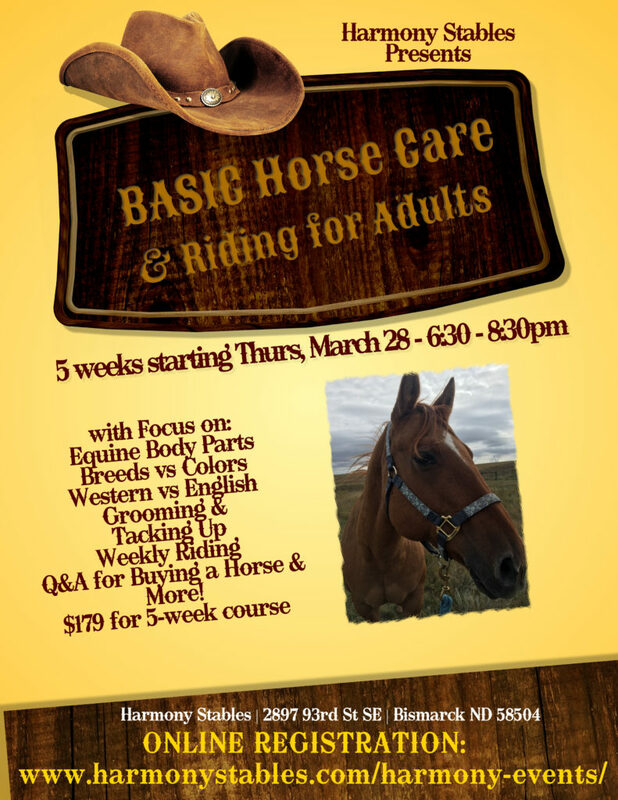 Attendees will learn the basics of horse care, grooming and tacking up, naming of body parts, identification of breeds and colors, discussing basics of keeping horses healthy and safe, comparing the differences between Western and English tack, what to look for in buying a horse, and of course, RIDING!